Just think of me as the Mistress of Madness. 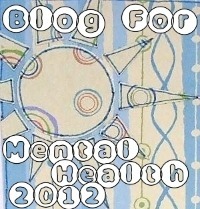 ♥ As admin and sometime author to the community mental health blog A Canvas Of The Minds, I try to educate, encourage, and promote awareness of something about which I am passionate by necessity - while helping other wonderful voices to do the same. 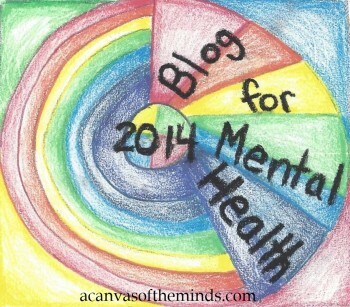 I also serve as the point of connection and conduit for The Official Blog For Mental Health Project, which gathers together voices of experience, understanding, advocacy, education, and support. Through this venture we are working to truly make mental health everyone's concern. 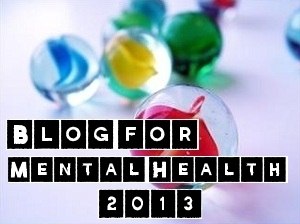 This entry was posted in Blog For Mental Health News on 2015/04/08 by Ruby Tuesday.